Tim Holtz Idea-ology MINI LANTERN TH93033 at Simon Says STAMP! TH93033 This item is on reserve until If you would like to reserve this item now, you may purchase it now with the rest of your order. We will hold your order now and ship your entire order as soon as this item is back into stock. If you would like your order to ship now, please place this item on a separate order. 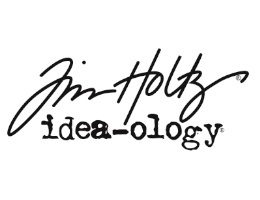 Success, Tim Holtz Idea-ology MINI LANTERN TH93033 has been shared! illuminate your next creation with this unique Mini Lantern. Inspired by the craftsmanship of a vintage, flickering lantern, these battery-operated* lanterns glow with a soft light. Use to light up Configurations or any other dimension project needing just a touch of light. *batteries are not included, but available in our store separately! Lantern requires the use of 2 double A batteries. If light left on, it is said that the estimated life of the batteries until burnout is about 3 and a half days! Lantern is approximately 1.375 inches tall.